Clearly, we can all agree that rocket scientists are morons and pretty much anybody with more common sense than a turnip would do a better job of running NASA. Pencils! It's so simple! Stupid scientists and their Ph.D.'s. But here's the thing: pencil lead is graphite. Sharpening a pencil in zero gravity (or even writing with one) will release tiny bits of graphite into the atmosphere. Graphite is both conductive and flammable. So when tiny bits of it decide to find their way into the relay-based electrical systems or mix with the oxygen-rich atmosphere trapped inside an early spacecraft, you can imagine how it might just maybe cause a few problems. Maybe, just maybe, rocket scientists are smarter than smug internet idiots sharing snide memes. It's possible that the rest of us should stop trying to be snarky and acknowledge the fact that smarter people are smarter than us. It turns out that years spent studying a problem make you better equipped to solve it than someone who's just seeing it for the first time. In short, experts are experts for a reason and not all opinions have equal merit. 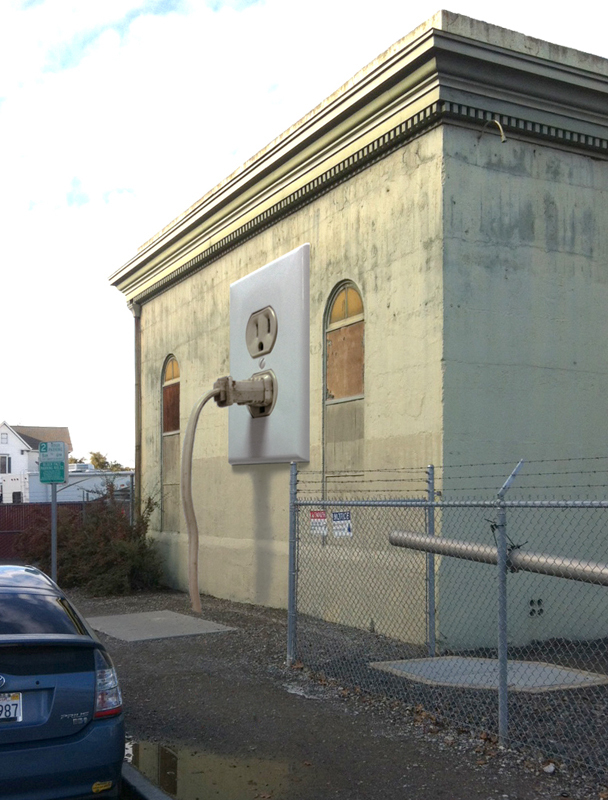 But let's take things a step further. Doing even a tiny bit of research, it turns out there's a few factual errors in this meme. 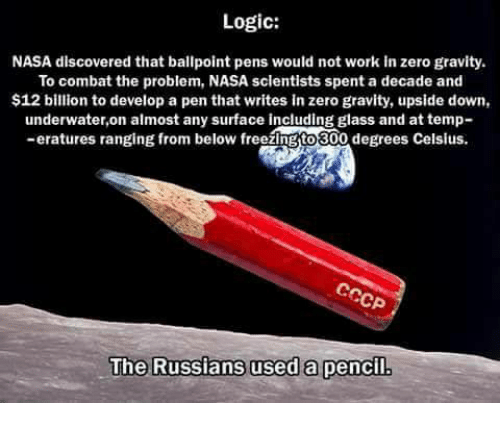 First, NASA started off using pencils in space too because hey, American space engineers are at least as smart as Russian space engineers. Then the folks at the Fisher Pen Company saw an opportunity. The company invested $1million of its own dollars (and much less than a decade) developing a pen that would work in zero gravity. They also developed a gel-based ink that would work in extreme temperatures and underwater. Then they sold those pens to NASA. After exhaustively testing the pen in-house, NASA began using it on all space missions beginning in 1967. In February 1968, NASA ordered 400 Fisher space pens for the Apollo program. A year later, the Soviets ordered 100 pens and 1,000 ink cartridges for use on the Soyuz missions. Both NASA and the Soviet space agency received the same 40 percent discount for buying their pens in bulk. They both paid $2.39 per pen instead of $3.98. So this whole episode isn't a story about how rocket scientists are stupid. Instead, it's a story about why America won the Cold War through industry, capitalism, and innovation. But the real lesson? Get your memes right and stop sharing stupid. *I realize pencils probably weren't responsible for dead cosmonauts and there were plenty of casualties in the US space program. This is a common side effect of pushing the limits of your technology to the bleeding edge in pursuit of knowledge and greatness. THANK YOU for sharing this. I've seen this meme before and its snide, smart-alek tone bugs me so much, especially because it's completely wrong. Thanks for helping set the Internet straight. You're the man Shawn!